What happens when your superfans visit your site looking for the status of your upcoming book? 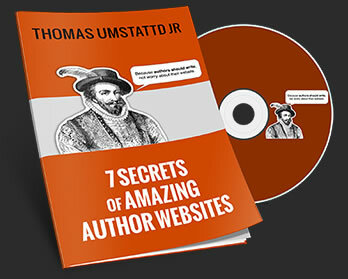 If your site is like most author websites, they leave disappointed and frustrated. You just lost the opportunity to get them excited about your upcoming book and onto your email list where you can let them know about the book they already want to buy. That is where MyBookProgress comes in. MyBookProgress is a progress bar that you can install on your sidebar in five minutes and update in thirty seconds. Show readers the status of your current project in style. MyBookProgress is more than just a simple progress bar. It tracks your progress over time, giving you a dashboard that helps you stay on track and hit your deadline. It also allows your visitors to sign up for email updates with just a click and give you nudges of encouragement. MyBookProgress is now on Kickstarter. We need your help to get this plugin out in time for National Novel Writing Month. You can find out more about MyBookProgress on Kickstarter.